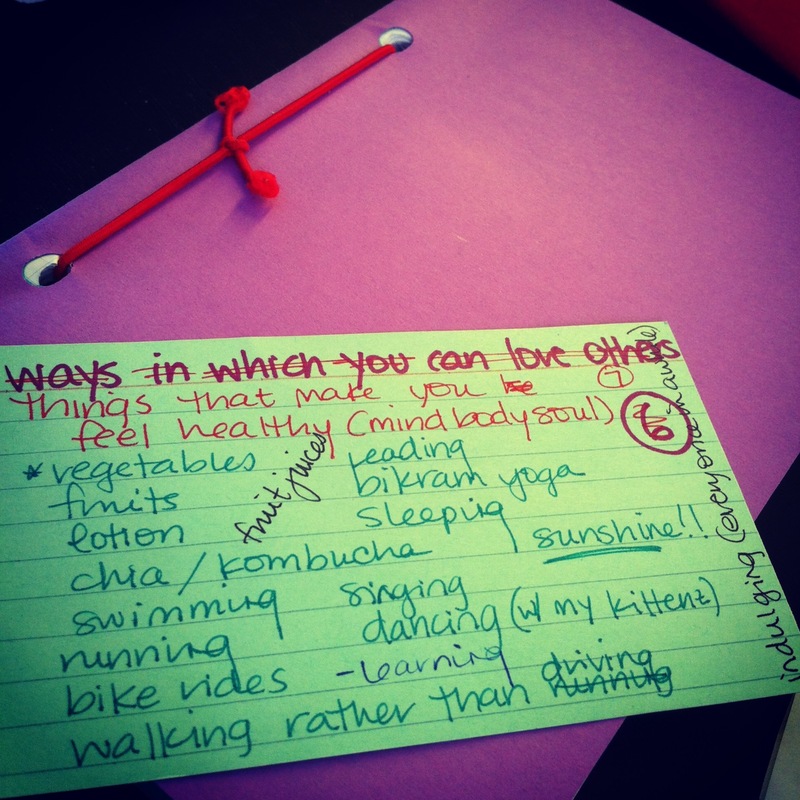 i found this list to be much easier than the first 5 of 2013 -- it is less reflective and more instinctual. that being said, it's super easy to say why you feel healthy when you're talking about your body; if you're eating well and taking care of yourself, normally, you feel good. but having a healthy mind (and soul) is just as important, and sometimes, it's harder to figure out how to make that happen. for me, i think the things that make my mind and soul feel healthy are the things that make me the happiest -- singing along to a blaring radio with the windows down, dancing with my kittenz, learning new things, and just sitting in the sunshine letting the heat and warmth soak into my bones. it can be hard to convince yourself to be healthy all the time, to eat well and exercise, but the things that make my mind and soul happy are things i would do every minute of every day if i could.